Sad. Sad to...... Wallpaper and background images in the 随意 club tagged: random photography picture. 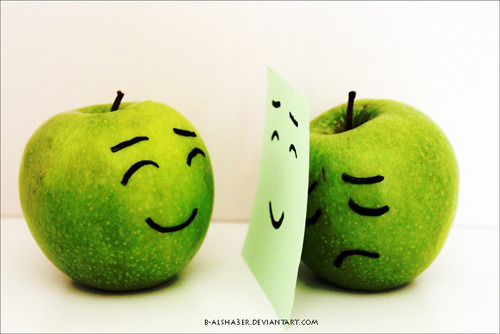 That apple on the right, that would be me sometimes. An emo apple... Shouldn't it be black? Hmm! This is the sadness of reality these days.